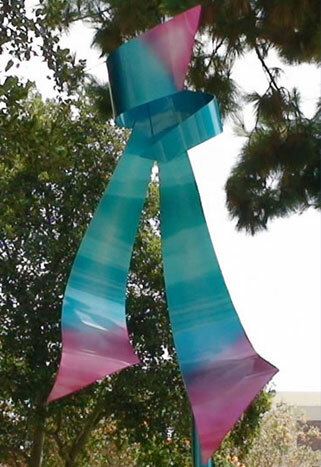 Today Ribbon of Hope stands proudly in the Wolfstein Sculpture Park at Scripps Memorial Hospital in La Jolla California. 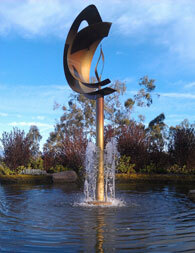 This sculpture is dedicated in loving memory to Lia’s father, Stanley Gilbert. Some of today’s scientists are discovering an important relationship between art and science. Certain individuals with scientific minds, trained in medicine,are reaching into natural non material reality. This paradigm in human science is about the new levels of coherence. We are accepting theories which we sense yet are unable to see. It was back in 1998 just before the turn of the millennium when a physicist asked Lia to create a “Healing Energy” logo for his vision for a new Holistic Pharmacy he was planing to build. By 2001 Arcana Empothecary was located at Scripps Integrative Medicine, La Jolla CA. 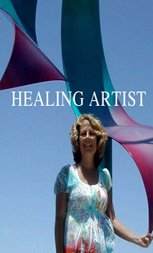 Lia Strell visits with James bi-annually and shares updates with Creative Healing Philosophy. Lia believes this is the foundation of her healing creative process which utilizes metaphysical wisdom and her own intuition. "As I gaze above and close my eyes. My intention is to discover the messages that are linked with our evolution and bring confidence and healing energy into our lives. My art arrives through discovery." 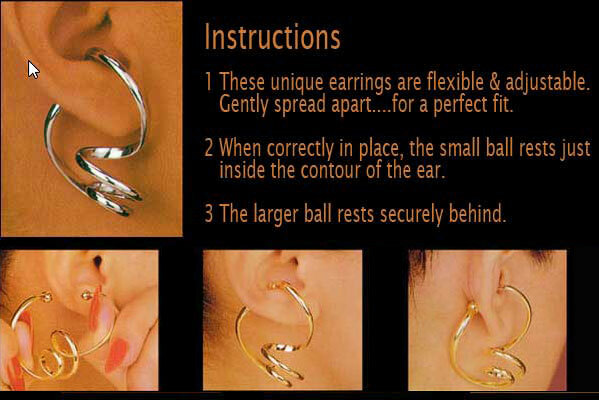 Please visit some articles about it. 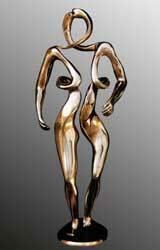 Lia Strell, is a native Southern California sculptor with an alluring style. To appreciate Lia's art is to understand the artist. Her work has been evolving since her childhood, after being introduced to oil painting at age six. By age twelve she was certain she wanted to be an artist. Her university years were spent exploring art through glass and ceramics. In the 1990's Lia was fascinated with marble and spent summers sculpting in Italy, where she created a valued and cherished marble series. 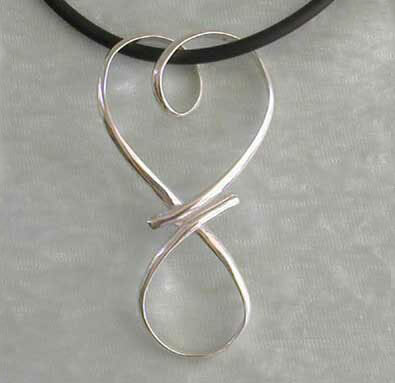 Lia's work continues in the metals, Steel, Aluminum, Copper, Bronze, Silver & Gold. Today Lia's work is also being recognized for healing within the Arts at Hospitals & Botanical Gardens. She believes that positive thoughts create positive health and that creativity is both positive & healing. 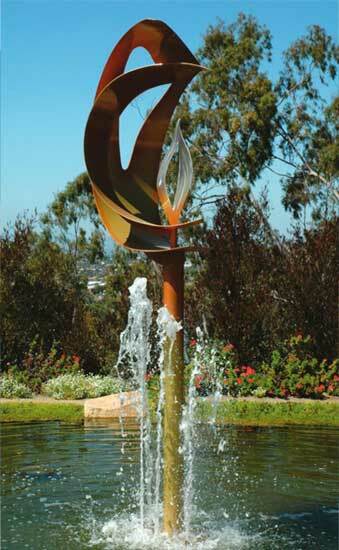 Inspired by natural flow of water & light, Lia's way is at the center of art and energy work. Luminous emotive symbols of movement capture the imagination. Her art ranges from large scale Public Art to personal pieces in many sizes. 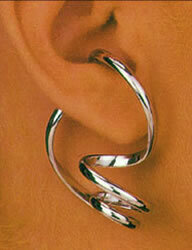 "The flow of water, light & natural sensual movement triggers a deep, creative spark in my being. As I gaze above and close my eyes I try to discover the messages that are linked with our evolution to bring confidence and healing energy into our lives. My art arrives through discovery."